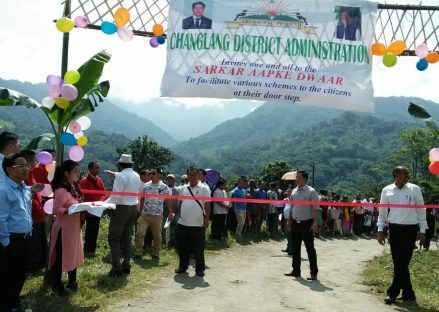 Changlang, October 9, 2018: Sarkar Aapke Dwar was held at Namgoi village, Nampong circle, Jairampur Subdivision, Changlang district on 9th October 2018. 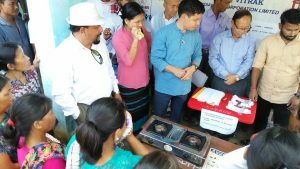 The program was inaugurated by Hon’ble MLA Shri Laisam simai in presence of DC Changlang Shri R.K Sharma, ADC jairampur Shri S.S Chowdhury, HoDs, officials and large participation from villagers. All together public of 9 villages participated and all government departments extended their services and spread awareness on all state and central government schemes and flagship programmes. Forest department planted saplings in areas around the schools.